Updates | SRI AMMANAA MAHAALL 9282230380 in Chennai,SRI AMMANAA MAHAALL Centralised A/C hall 700persons. , 10 A/c Rooms, Mini hall fully A/c Capacity of 150 persons. Nicely decorated interior. AUSTHETICALLY built,Very spacious stage, Inbuilt Audio, Video & CC TV System, Both sides road approach. Ample car parking space. Next to DAV Girls Senior Secondary School, Annanagar West Extension. Standby Generator & Inverter available. Tie up with Floral Arrangement, Catering Contractor, Video & Photography, Music Parties, Cars/ Travel Agency, Beauty Parlour etc. Sri Ammanaa Mahaall is located in Golden George Nagar , marriage hall fully centralized ac seating capacity of 700 persons, Dining hall is centralized ac , 10 a/c spacious rooms with bath attached.lift , car parking available.very nearer to mogappiar east, west., Anna nagar, Ambattur, & Koyambedu. Please contact 9282230380. AC Marriage hall in chennai:Sri Ammanaa Mahaall is located in golden george nagar , marriage hall fully centralized ac seating capacity of 700 persons , Dining hall is fully centralized ac capacity of 200 persons .10 AC spacious rooms with bath attached, with one dormentory, 100 persons can stay, nearer to mogappiar east& west , Annanagar , Ambattur, & Koyambedu. please contact 9282230380. 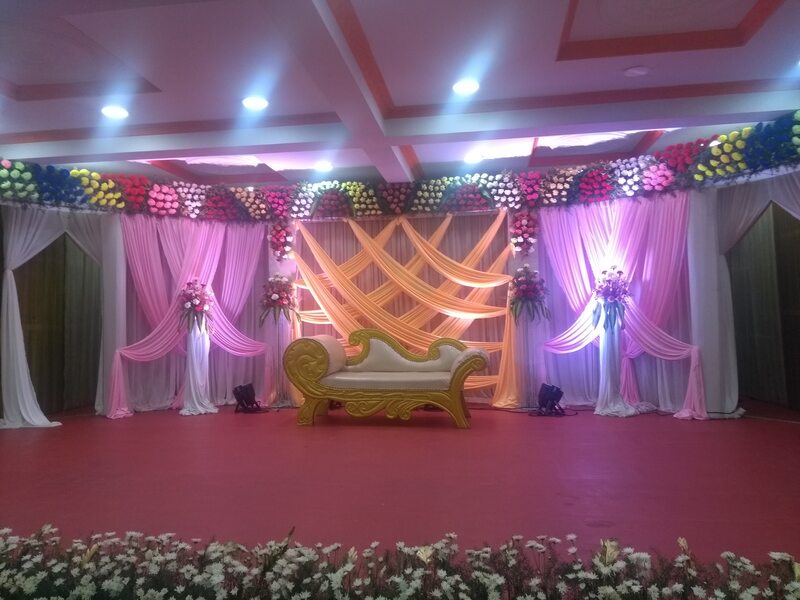 AC Marriage hall in chennai:Sri Ammanaa Mahaall is located in golden george nagar mogappiar.Marriage hall is fully centralized ac seating capacity of 700 persons, Dining hall is fully centralized ac capacity of 200 persons, 10 ac spacious rooms with bath attached.with one dormentory 100 persons can stay, lift , car parking available very nearer to Mogappiar east, west, Annanagar, Ammbattur, & Koyambedu.contact 9282230380.